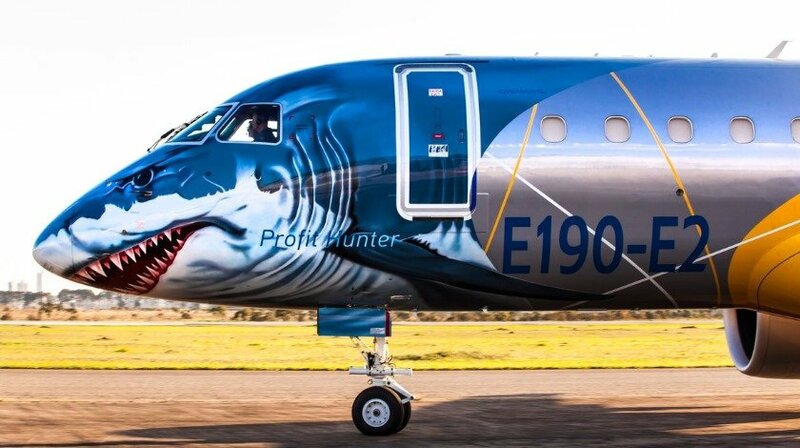 Hot on the heels of an exciting performance at the UK’s Farnborough Airshow, where Embraer enjoyed a bumper crop of new aircraft orders, Embraer’s new generation aircraft, the E190-E2, visited Africa for a Continental tour. The aircraft visited six counties: Algiers, Morocco, Kenya, Ghana, Mauritius and South Africa. At each stop, the world’s quietest and most efficient passenger jet in its segment attracted the attention of the local aviation community and the press, performing demonstration flights to showcase its capabilities. “The debut of the E190-E2 in Africa is an excellent opportunity for Embraer to showoff this ground breaking aircraft that sets new standards in profitability for airlines and comfort levels for passengers,” said Raul Villaron, Vice President, Sales, for Middle East & Africa, Embraer Commercial Aviation. Beyond new market prospects, there are also opportunities to match aircraft capacity to market demand. Currently the majority of seat capacity in Africa is located above the 150-seat segment. However, 70% of intra-regional and domestic markets operated by narrow-bodies have fewer than 130 passengers on board on average in each flight. This results in average load factors of approximately 60%, still far from the global average. Another major impact of deploying large narrow bodies into thin routes is the resulting low number of frequencies: Almost 70% of the intra-African routes are served with fewer than one flight per day.